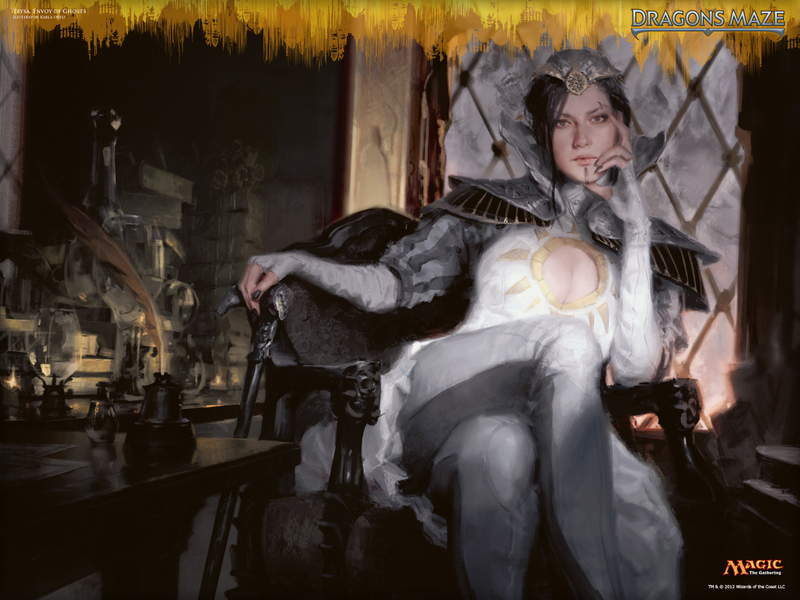 So those are the most recent cards we have seen so far, but how about some of Karla's other cards? Well, Karla started illustrating cards that first showed up in Dragon's Maze back in 2013. 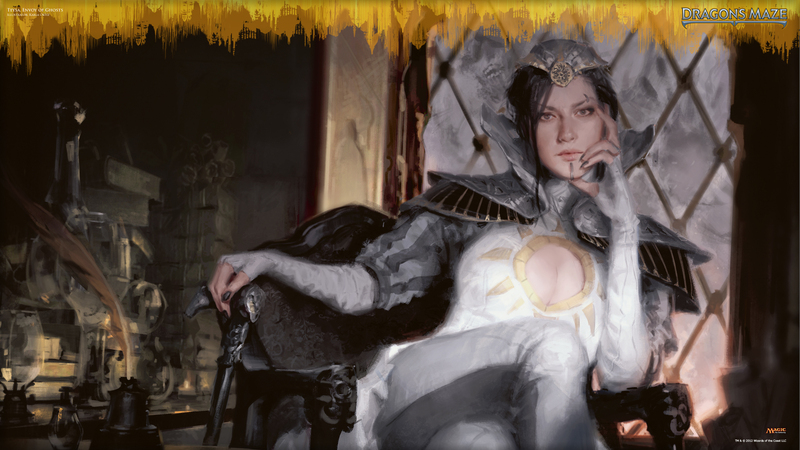 M14 was skipped, but her art picked back up in Theros. 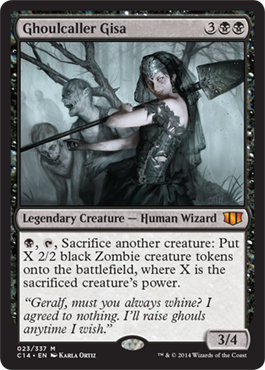 Following Theros, the next set released was Commander 2013, and there were two more cards. 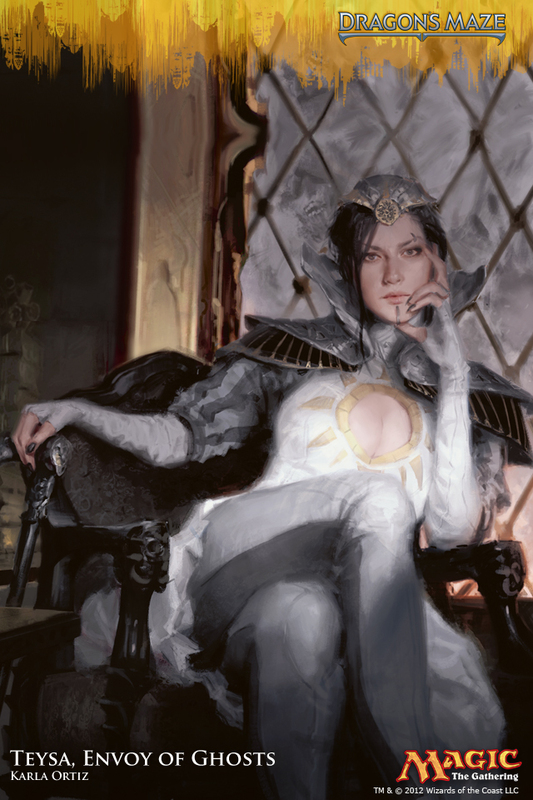 Following Commander 13, we had Born of the Gods, but then Journey into Nyx and M15 were skipped. 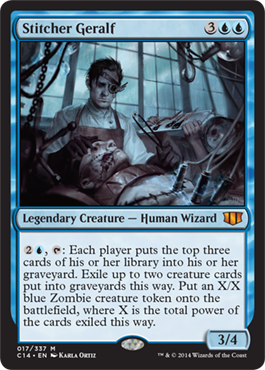 While M15 was skipped, we did get to see three cards with Karla's art in Conspiracy. And that's all the cards with Karla's art so far. 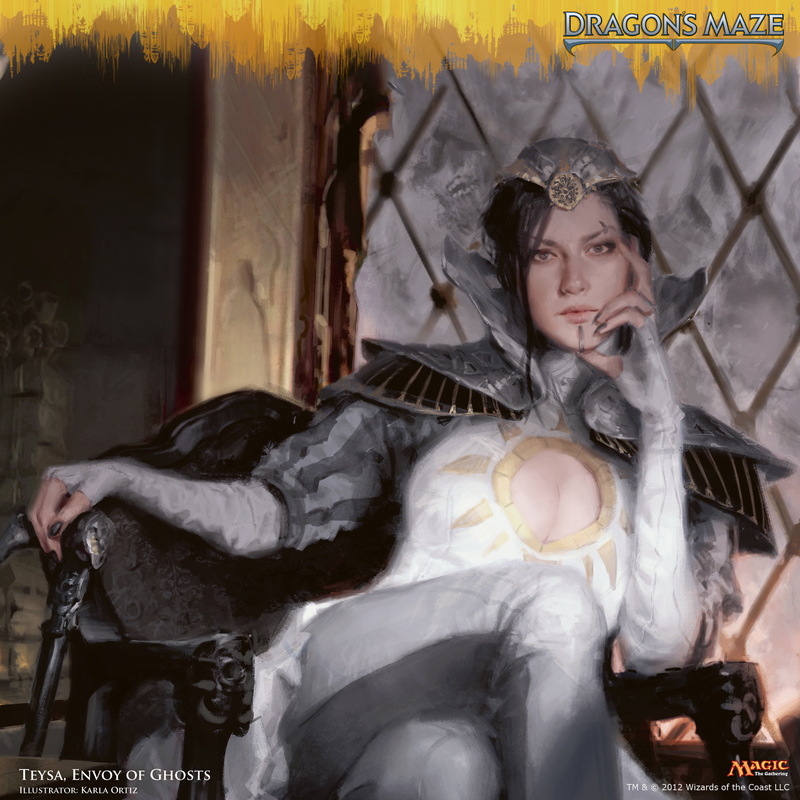 But we do get to have some wallpaper of Teysa from Dragon's Maze! You can find Karla on her Website and Twitter. 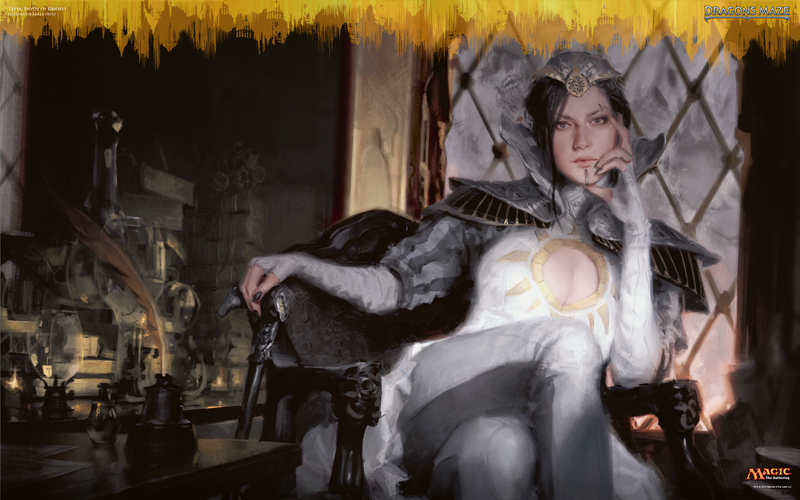 You can find more of Monday Morning MTG on Twitter and Facebook.